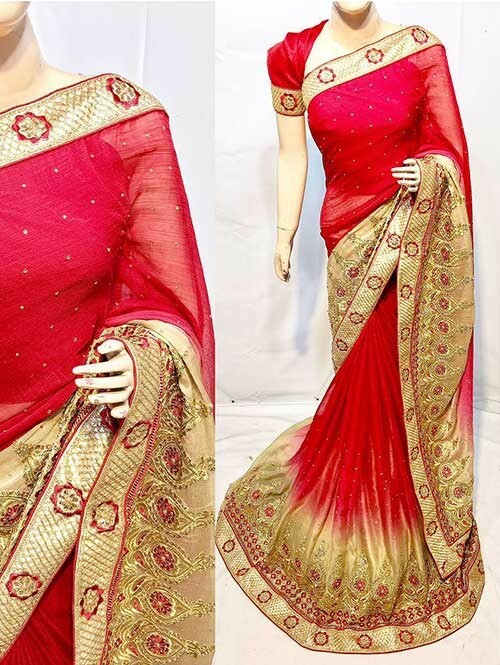 Make a distinct style statement wearing this Red Color Beautiful Soft Chiffon Saree. It is designed with beautiful Lace Border work in form of traditional motif. Designed to perfection and this saree will soon become your favorite . The stylishly designed saree makes it a true value for money. 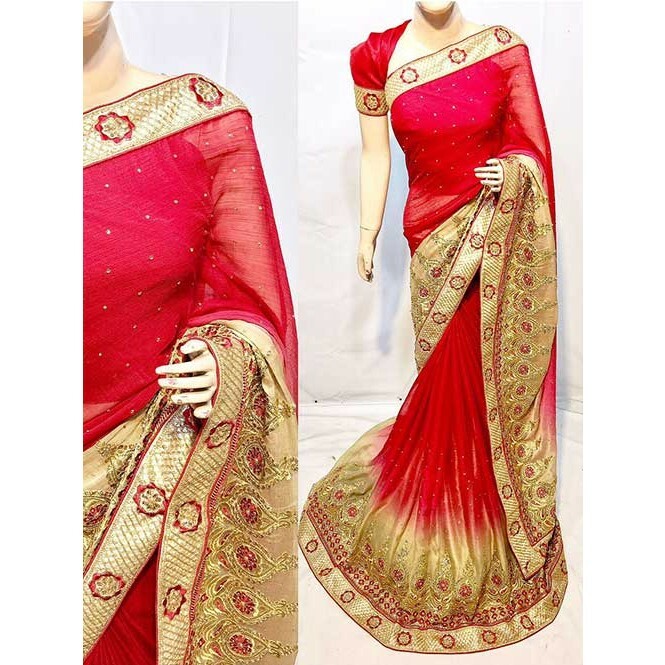 Made from Soft Chiffon fabric this saree measures 5.5 m and comes with a 0.80 m blouse piece.